Do they roll up the sidewalks in your town at sunset? Not in the average American town. Men and women are up way past sunset working in all types of environments. 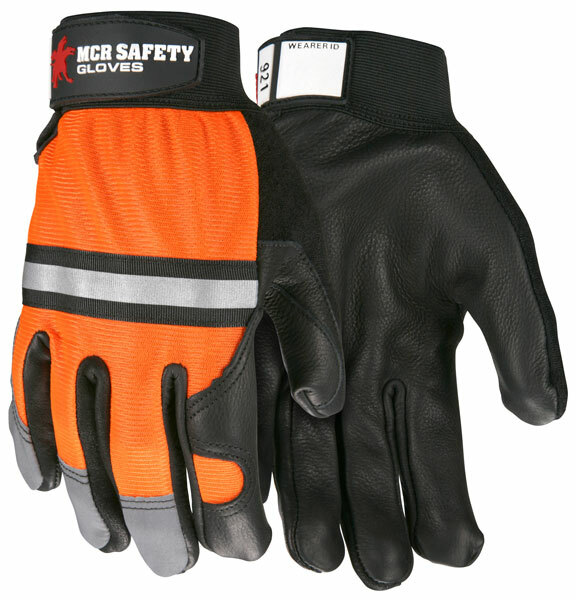 When the light is low and you need to be seen Luminator™ gloves help will provide the protection you need. The 921 features a black grain cowhide palm, fluorescent orange back, and silver reflective material on the back of hand and fingertips. An adjustable hook and loop wrist closure makes this option easy to done and doff and easy to fit.